Men, women, and children with an inability to concentrate, extreme restlessness, or impulsiveness may have Attention Deficit Disorder, or ADD, more recently known as Attention Deficit Hyperactivity Disorder (ADHD.) People who receive this diagnosis from a conventional physician usually receive medication to reduce their symptoms. Dr. Jessica Cho, of Wellness at Century City, approaches treatment from an integrative medicine approach. She looks at the entirety of your surroundings, including lifestyle habits, diet, and spiritual/mental conditions, to see where changes may be made to restore your health. Patients can call the office or book an appointment online. It’s estimated that as many as 9% of children and 4% of adults in the United States have ADHD. 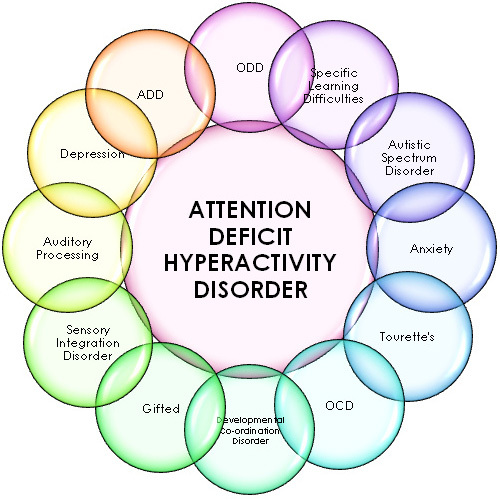 ADHD may be characterized by hyperactivity, inattentiveness, or a combination of the two. Inattentiveness means you’re easily distracted, forgetful, make careless mistakes, and lose focus easily. If your ADHD is characterized mainly by inattentiveness, it may be referred to more often as ADD. It’s likely that an imbalance of brain chemicals is causing ADD and ADHD symptoms. Dr. Cho does a thorough medical history and runs several diagnostic tests to identify the root causes of ADHD so she can treat them in an effective, natural way -- without drugs. What are possible underlying factors causing ADHD? How does Dr. Cho treat ADHD? Dr. Cho uses nutritional therapy, supplementation, hormonal support, and dietary modifications to treat ADHD. She merges the diagnostic skills of conventional medicine with noninvasive, drug-free treatments. Certain supplements, such as omega-3 fatty acids, herbs, and melatonin, may be recommended, too. Why should I look for alternatives to drug therapy to treat ADHD? The medications prescribed to people to deal with ADHD can have long-term negative effects. People who regularly take stimulants to deal with ADHD may suffer insomnia, decreased appetite, and abdominal pain. Stimulants can induce psychosis, retard development in children, and be minimally effective in treating adults. Nonstimulant drugs used to treat ADHD can cause high blood pressure, decreased appetite, nausea, fatigue, insomnia, and liver toxicity. Drug therapies aren’t always effective, and even if they do reduce symptoms, they don’t address the cause of ADHD. As an integrative physician, Dr. Cho does more than just treat symptoms. She provides care for the whole person and addresses the underlying causes of the disorder.